Will you have enough money when you retire? How can you be sure? 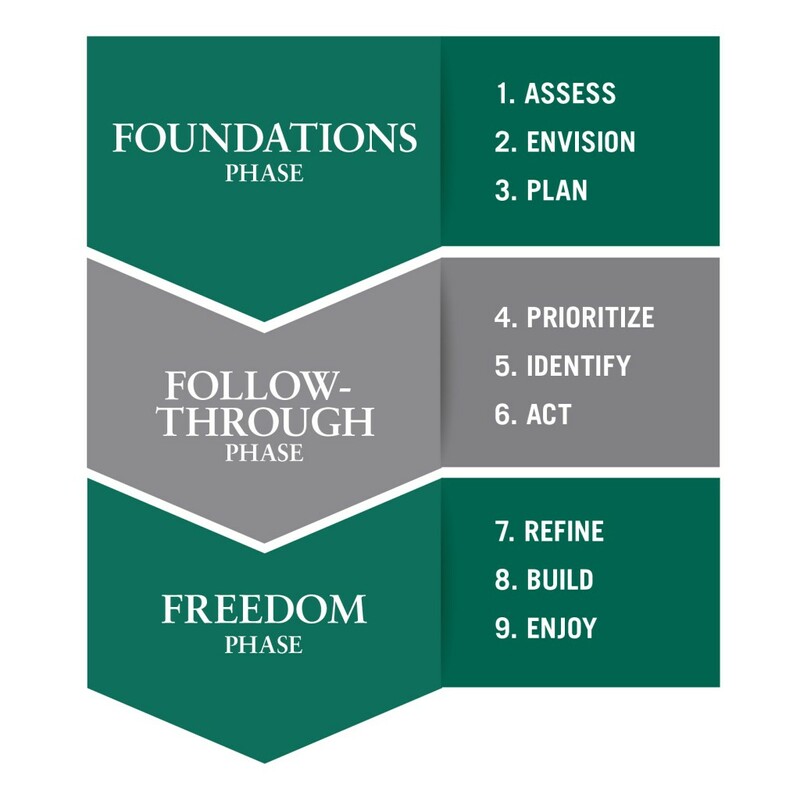 With our comprehensive approach known as the Financial Freedom Process™, you get access to an in-depth, straightforward financial and retirement planning process that incorporates thoughtful risk management and investment management. To help you reach your financial vision, we create a customized plan that comprises a series of questions, critical factors analysis, risk assessment, and thorough planning steps. We identify and address potential financial risks you face based on your age, your profession, your family status, and your financial goals. Dedicated risk management in identifying your financial vulnerabilities based on your age, job status, and lifestyle. A customized investment portfolio strategy designed to match your goals, objectives, and risk levels. Comprehensive financial planning advice that considers your financial goals in conjunction with thoughtful portfolio management and risk management. Consulting with your estate planner and CPA to ensure that your financial plan, estate plan, and tax plan are working together harmoniously. Our financial planning is about more than managing your investments. We help ease your anxiety about the financial legacy you want to leave your family. If you would like to achieve financial flexibility with help from Lowe Wealth Advisors, call 443-766-7160 or email info@lowewealth.com today to schedule a meeting.